Halpern's latest book, "Einstein's Dice and Schrodinger's Cat," investigates how physicists Albert Einstein and Erwin Schrodinger battled together against the incompleteness and indeterminacy of quantum mechanics. Th Acclaimed science writer and physicist Dr. Paul Halpern is the author of fourteen popular science books, exploring the subjects of space, time, higher dimensions, dark energy, dark matter, exoplanets, particle physics, and cosmology. He is the recipient of a Guggenheim Fellowship, a Fulbright Scholarship, and an Athenaeum Literary Award. A regular contributor to NOVA's "The Nature of Reality" physics blog, he has appeared on numerous radio and television shows including "Future Quest" and "The Simpsons 20th Anniversary Special". To ask Paul Halpern questions, please sign up.
" 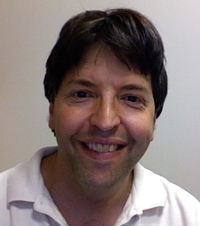 Hi, I'm Paul Halpern, a physicist interested in the history of science, particularly 20th century physics. " I'd be glad to answer readers' questions about Einstein, Schrödinger, unification theories, or any topic in physics. We’d love your help. 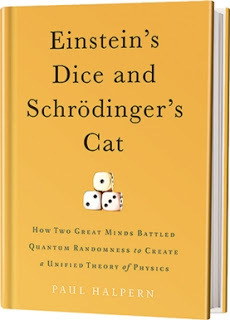 Let us know what’s wrong with this preview of Einstein's Dice and Schrödinger's Cat by Paul Halpern. We’d love your help. Let us know what’s wrong with this preview of Tono-Bungay by H.G. Wells. We’d love your help. Let us know what’s wrong with this preview of Trespassing on Einstein's Lawn by Amanda Gefter.